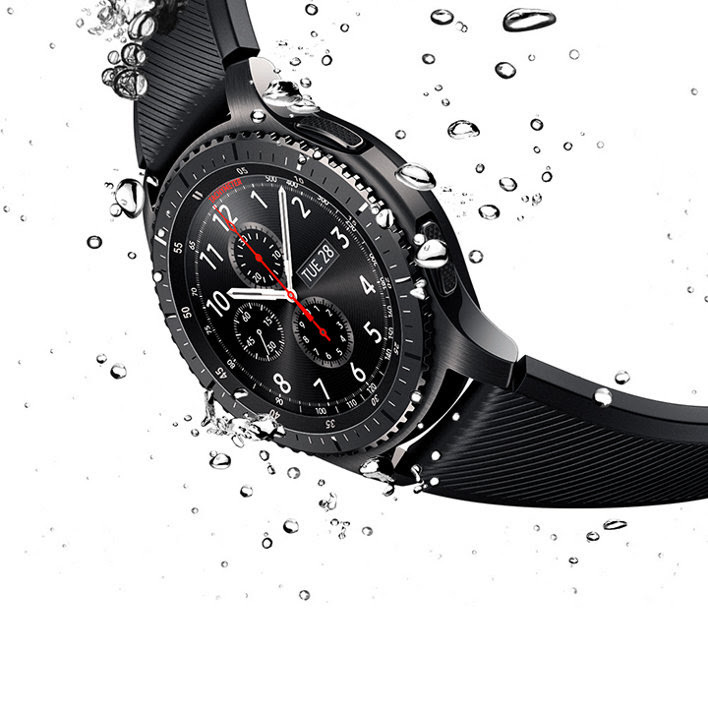 The Gear S3 is one of those smartwatches that has been a big hit over Black Friday 2016, and the upcoming Christmas holiday doesn't look to slow down sales of the wrist wearable. According to a confirmation from Samsung Australia, the Gear S3 is all set to get an official Spotify app next month. 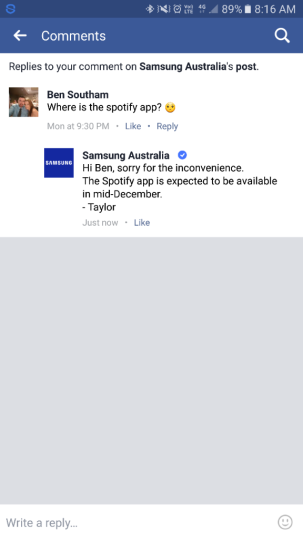 My colleagues over at SamMobile have gotten their hands on a reply on Facebook from Samsung Australia regarding the Spotify app (which presumably was rumored to launch before now). The response received back was "Hi Ben, sorry for the inconvenience. The Spotify app is expected to be available in mid-December." As the response says, mid-December is the date (somewhere between the 15th and 22nd, I suspect). We have no other timetable or indication of an exact day, but this will be good news for Gear S3 owners who've been wanting to stream their favorite music from their wrist when on the run. Of course, you'll need to have Bluetooth headphones to stream Spotify on the Gear S3. Spotify has also said that it'll provide some form of offline playback mode so that you can download your favorite songs on to the device instead of needing an internet connection all the time (moving around can tamper with your connection on a windy or rainy day, for example). The Gear S3 is set to get a Gear VR remote control app from Samsung, though again, no timetable is set. Still, it shows that the smartwatch is destined to be more than just a pretty wrist wearable. Gear S3 users, what do you think about the Spotify app arriving next month? Any Gear S2 users hoping for the same?